The massive growth of the number of airport hubs in the gulf and in Istanbul has dramatically increased the amount of international flight options for South African travellers. 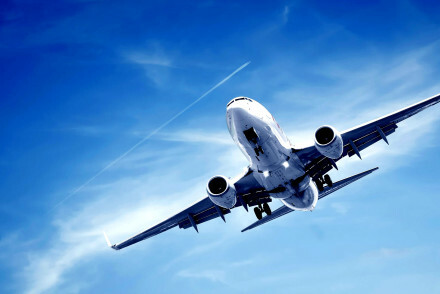 If you are going to France for a two week holiday and you are flying in and out of Paris for instance, then you have around 5 flight options to choose from. You can fly via Dubai on Emirates, Istanbul on Turkish Airlines, Abu Dhabi on Etihad Airways or via Doha on Qatar Airways. The fastest option is to fly directly to Paris on Air France, but it’s not the cheapest option. Connecting flights through the Gulf States are almost always cheaper, but you will be losing quite a lot of travel time waiting for your connecting flight. While we’re all on a tight budget these days because of the weak rand, we do need to take time and comfort into account when travelling abroad. If you can go on a direct flight or even via a closer hub like Istanbul to Europe, then forking out a little more money for your flight will be worth it. A recent study showed that the average person checks their phone 110 times a day. That’s a lot of attention to give to one gadget, and we all have more than one these days. Yes, during the course of everyday living we need to check our phones regularly because we need to reply to emails, sms friends the arrangements for the weekend or check the time because the children need to be picked up from school at 13h00. But when we’re on holiday we don’t need to do these things, thus we don’t need our cell phone with us all the time. 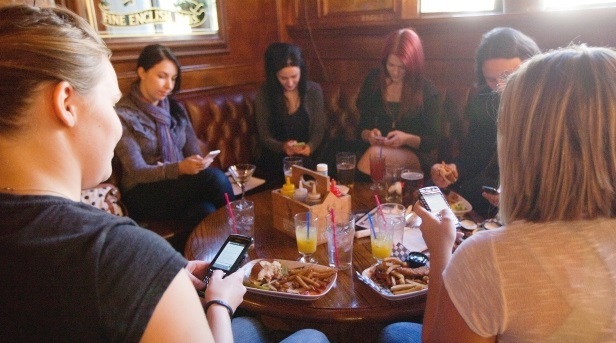 The problem is that if we carry our phone with us, we will connect to WIFI every time we sit at a coffee shop or a restaurant. Our heads immediately shift back into “home mode” as the messages come flooding in and we check our social media sites. That is exactly what we are trying to get away from by going on holiday. Leaving our phones in the hotel safe while we’re out will give us more time to appreciate our surroundings, and we’re almost certain to have a more enjoyable holiday. This follows on the cell phone point made above. We don’t need to check the news or our Facebook feed every 30 minutes. Once or twice a day in the hotel is more than enough; in fact we should try to cut it out altogether. But if we have an iPod or an iPad for example, we could use it to make our trip easier. There are numerous apps we can use that will make our trip better in every way. But download the apps that are usable offline. There are various apps available where we can download offline maps and guides of the destination to which we are travelling. These travel apps will give directions and point out interesting facts about local landmarks. Download these apps before leaving home, and then we won’t need to go online while travelling. If we are using trains to travel through Europe for instance, then we will have a lot of time to kill while on the move. One of the best ways to kill time on trains is to listen to podcasts. 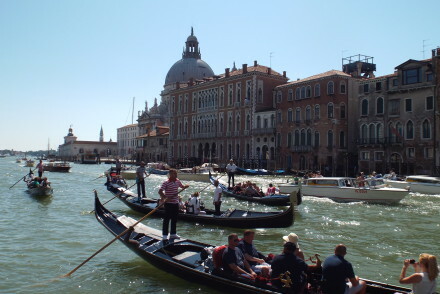 When travelling through Italy download podcasts on the history of Italy for instance. There are travel guide podcasts available that focus on almost every city in the world. Listen to one of them while travelling to the specific city, and we will have a better grasp of the history and culture of the city we’re visiting. Remember, knowledge is power. Disneyland, Garoupe Beach (France) and the Sistine chapel, three places that could not be more different. What do they have in common? They have all banned the selfie stick. In fact Garoupe Beach has banned selfies altogether, and you are not allowed to take pictures in the Sistine Chapel at all. 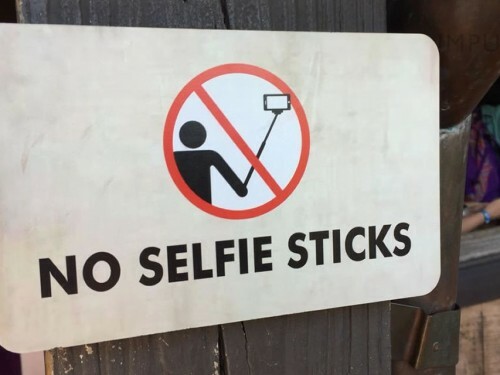 Disney was the first major company to ban the selfie stick. Many museums, sports clubs and concert venues around Europe and the United States have now followed suit. The reason for the ban is said to be safety and security reasons, but I think there is a little more to it than meets the eye. In Italy for instance you get hounded by hawkers and informal traders who are selling knock off selfie sticks on the street. The Spanish Steps in Rome for instance was once a place where you could sit and enjoy the view over a drink or two. But now you can’t sit in solitude for more than 30 seconds before having a selfie stick thrust in your face. I witnessed people walking into each other because they were distracted by their selfie sticks. Arguments erupted and both parties walked away with their day ruined. 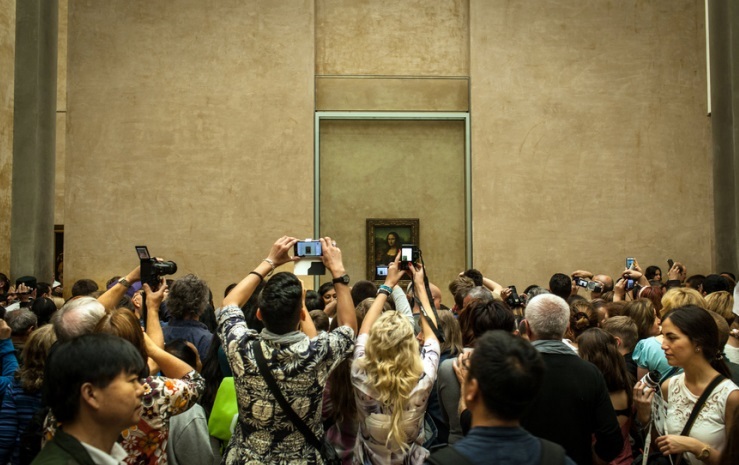 It is almost impossible these days to truly appreciate works of art in busy galleries or museums, because people are vying for the perfect selfie spot. 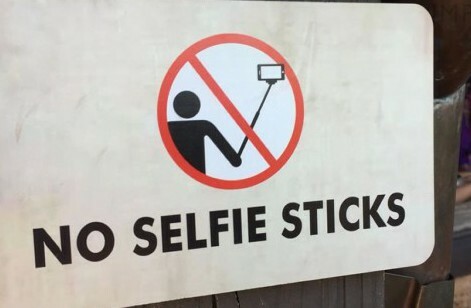 It might be a selfish opinion, but I think banning the selfie stick would be a victory for all humanity! I have wracked my brain over the years to try and understand why people stand in the queue at boarding gates for up to 30 minutes before boarding time. The fact is that everyone is going to get to the destination at the same time; our position in the queue will not get us there faster. Yes you will be on the plane first, but that only means spending more time in the confined space that is your seat. Our seat number is designated beforehand, so we don’t have to rush or stand in the queue 30 minutes before boarding to make a dash for the best seat. The best time to board a flight is at the end when the line is short and most people have already boarded. So why doesn’t everyone get on the flight at the last minute? I can only think that people want to get on the aircraft first because they want to claim a space for their carry-on luggage above their seat. We have all been there, we get to our seat and the overhead luggage compartment is full and there is no space for our bag. The bag then gets squashed in at the back of the plane, and we have to wait until everyone gets off before getting our bag back. 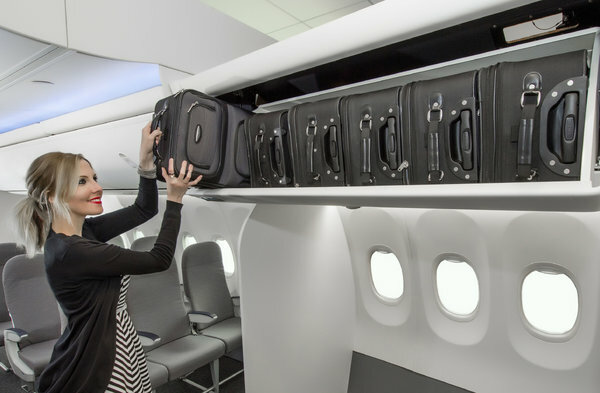 Airlines should be stricter about enforcing carry-on luggage restrictions, and spaces above seats should only be used by the people sitting in the specific row so that these things don’t happen. If our bags don’t fit into the allocated space then it gets put in the hold. If airlines do start enforcing these restrictions, there would be no one from seat 10D putting their luggage above our seat in 12D. Everyone would be more relaxed during the boarding process because they would know that their seat and the space for their carry-on luggage would be available. Sitting on a plane with a crying child for 8 hours is not very pleasant. There is nowhere to go and absolutely nothing that you can do. We usually get irritated with the parents because in our mind they aren’t doing enough to keep their child quite. But the parents are going through the same stresses as their fellow passengers. They don’t want their children to be uncomfortable. If airlines create family sections for families with babies and young children, both the families with children and all the other passengers will have a more comfortable flight. The air hostesses in the family section could be trained to work with children so that they can help out the parents. Children will also be able to make new friends and play with each other if they get bored. The bathrooms in these areas could also be bigger, because changing a child or taking him or her to the bathroom in the minute toilets of commercial planes is impossible. Malaysia Airlines already have family zones on their Airbus A380s. In the modern age this should be a no brainer. If airlines provided passengers with free WIFI we would be more relaxed because we would actually have something to do, and flights would feel much shorter. Free WIFI in hotels was once unheard of. You used to pay hefty premiums for WIFI in hotels, but today nearly every hotel in the world offers free WIFI. I believe that WIFI on flights will follow the same path and become standard on all flights, as it should. Almost every traveller in Europe has been caught out by service charges at restaurants. These restaurants add a 2 Euro per person or 10 – 14 % service charge to our bill. The service charge notice is usually printed at the back of the menu in very small print. They try to hide the service charge from us so that we don’t get up before ordering. Two Euro’s per person or 10 – 14% does not sound like much, but if we are just having a quick lunch or a coffee it could add up to almost half of our bill. On average a pizza in Italy costs around 7 Euros and a coffee 1.5 Euros. So let’s say two people have a coffee and share a pizza, the bill will add up to 10 Euros (around R145). Then they add a service charge of 2 Euros per person and the bill shoots up to 14 Euros. So you have to pay an extra 4 Euros (almost R60) for having a 15 minute lunch that consisted of a pizza and 2 coffees. On a recent trip to Europe I saw many tourists querying their bill after seeing the extra charge. They all left angry or frustrated and if they were anything like me they also felt cheated. 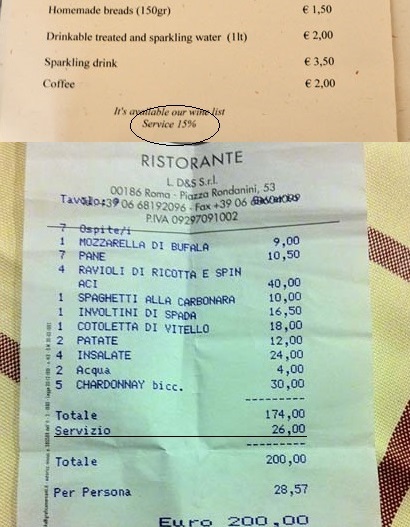 Now we know that many cultures don’t tip, and that is why most restaurants in Europe add the service charge. But why should we pay to sit at a restaurant. The best thing to do is to ask beforehand if the restaurant you choose charges a service fee and decide whether we are willing to pay it. Why are hotels charging 4 Euros for a bottle of water in the minibar? If they charge reasonable prices they would almost certainly sell more items. If hotels ask a reasonable price for a beer, cool drink or a bottle of water in their minibars their clients won’t have to walk to the supermarket or the corner shop to buy these items. Currently we only take something out of the mini-bar if it is our last option. But if the prices were more reasonable we would all use the mini bar more often and that means spending more money at the hotel, something which the hotel industry should be happy about.